Rwanda is a small country in the heart of Africa with a complex history, marked by the civil war/genocide of the 1990’s. The country is developing rapidly and especially the capital Kigali is going through a full metamorphosis. The country is stable and is the cleanest and safest in Africa! Still, there are many poor people. Public transport is well organised. Kigali has tendered urban services since 2013, using Toyota Coaster and large buses. More developments are planned, even a BRT system. Regional services on trunk roads are frequent. They are operated by several dozen private companies mainly using Toyota Coaster. There are frequent international services to neighbouring countries, especially to Kampala and Nairobi. 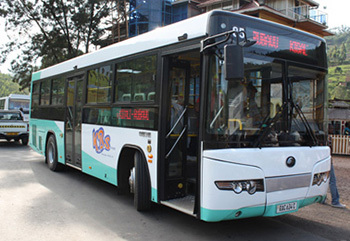 The situation of the national bus company ONATRACOM was problematic and the company has been restructured. A new company, a public-private partnership, was formed and became operational beginning of 2017. The site is rapidly being developed. Please check regularly!